I am not just a lover of books and movies, I am also a lover of games. I got my first video game 15 years ago, and I have loved games ever since. My first video game ever was the Game Boy Advance adaptation of the Pixar film Finding Nemo, but the first game that I saved up my own money for is one that sparked a love of the series for a decade and a half to come. I have followed this series through a multitude of games, and while I haven’t been absolutely blown away by every single one, I think the The Legend of Zelda and its sequels have an interesting way of telling a story. I’m going to discuss a few of the more memorable ones, both from my childhood and from more recent years, in no particular order. It’s hard to choose a favorite, give me a break. For anybody not familiar with the franchise: The Legend of Zelda is a game from 1986 that has sequels that have been published as recently as 2017. That’s not to say that a single storyline has been continuing since then, as most of the games are completely self-contained. One could pick up almost any Zelda game and completely understand it as a complete story. There are details and easter eggs for longtime fans to find, but every game has its own complete story. The common threads in each game in the franchise are the protagonists and antagonist. For the most part, the games feature three main characters: Link, Princess Zelda, and Ganon. Each posses part of the Triforce, a representation of both power and spirituality within Hyrule, where most of the games take place. Link is usually some kind of knight or warrior, and possesses the triforce of courage. Zelda is the princess of Hyrule and possesses the triforce of wisdom. Ganon is the main villain, appearing in several forms of various mortality, and possesses the triforce of power. In most of the games, Ganon is threatening the welfare of the Hylian (or Hyrulean, it’s not consistent between games) people in some fashion, and Link and Zelda must work together to stop him. The lore gets incredibly complex, but that is the basic premise of the series. Thirty dollars is a lot to a seven year old, and with that I put a lot of thought into what I was going to spend my hard-earned and hard-saved money on. 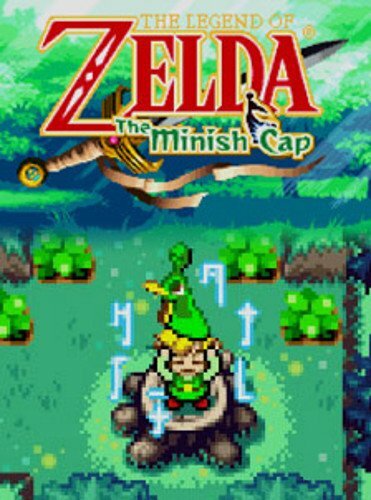 Finally, I decided on the first Legend of Zelda game that I ever played: The Legend of Zelda: The Minish Cap. Image from the WiiU digital version of the game. In The Minish Cap, Link is an apprentice blacksmith and sword fighter. At the Picori festival in his town, Vaati wins the privilege of touching the Picori Blade, which he uses to unleash monsters on Hyrule and turn Zelda to stone. Link must repair the now-broken Picori blade with the help of Ezlo, an enchanted hat. In hindsight, this was an odd title to start with. It’s one of the few games in the series to have an antagonist other than Ganon. The Picori don’t really show up in later titles either, so it’s odd overall. The biggest similarity is one of something I’m going to call a companion plot twist. I’m going to discuss four more games here and all of them have this kind of plot twist. (spoilers for all of the games start here) At the end of the game, Ezlo reveals that he was not only a Minish the entire time, but Vaati was his apprentice. The series has a whole has a running theme of companions not being entirely who they claim to be. It’s never a reason for Link (and by extension the player) to resent them for lying, but most of the time it serves to add another layer of complexity and character development. 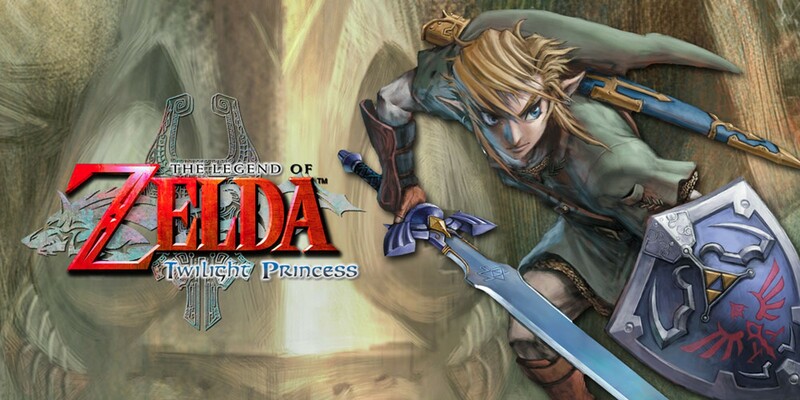 Another memorable game in the series is The Legend of Zelda: Twilight Princess. I played this title on the Wii in 2006 or so. If memory serves me correctly, it was the second game that I had played. It’s another odd addition to the series and one that stands apart from the others. Initially, Twilight Princess doesn’t seem to star Ganon either. After Link, this time a ranch hand in the village of Ordon, follows a group of mysterious shadow creatures who had kidnapped the children of the village, he learns of Zant, the king of the Twilight realm from Midna, who we later learn is the titular Twilight Princess. For most of the game, Zant is a shadowy antagonist that we only really see in cutscenes and we don’t interact with more than a couple of times. However, we later learn that Ganon is in fact manipulating Zant and is the true villain here. Twilight Princess is the first “traditional” Zelda game that I had played, in that the main three characters of Zelda, Link, and Ganon are present. However, this is still a unique entry in the series. For most of the game, Link has the ability to transform into a wolf to have additional powers like howling, following scents, and talking to animals. This created an interesting dual experience for me. I was able to look at a situation in two completely different ways and see this interpretation of Hyrule from two sets of eyes, in a way. This led to a unique storytelling experience, though in hindsight there was a lot of emphasis on exposition and cut scenes. It was a tonal experiment for Nintendo, having a darker, grittier feel. It’s also the only Legend of Zelda game to get a teen rating from the ESRB. While I think I played this game a little too young to really appreciate it…or not get scared out of my mind…for a very long time Twilight Princess remained my single favorite game in the franchise. Over time, however, it did have rivals. The Legend of Zelda: The Wind Waker is a game that came out a little while before Twilight Princess, but I didn’t play it until later. It serves as a sequel of sorts to Ocarina of Time but it isn’t as close a companion as Majora’s Mask. 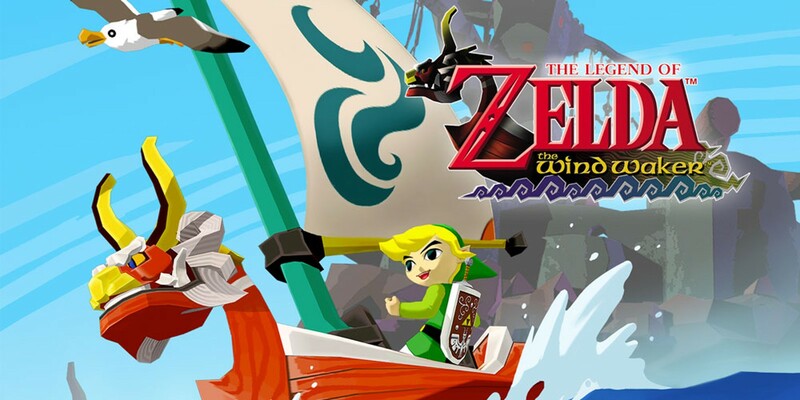 The Wind Waker returns to the series’ more open world roots. In this one, now truly a traditional setup of Link, Zelda, and Ganon with no other “Big Bad” characters to get in the way of the story. In this sense, the story is a lot more simple. Link, this time a child coming of age on an island in the sea covering what once was Hyrule, must save his sister from Ganon after he kidnaps her, as he has done to girls with pointed ears all over the Great Sea. This game is, in my opinion, the beginninge of Nintendo trying to keep up a cohesive storyline between games. The Zelda Timeline is somewhat controversial among fans, but given that this game’s lore directly references Ocarina of Time and it later had two direct sequels, I think it’s safe to say that it marked a shift in direction for the storytelling goals that the developers have. In this title, there’s not one reveal, but two, of companions that are actually completely different than who they seem to be. Tetra, a pirate that you encounter early in the game, is actually Princess Zelda, or at least a direct descendant or a reincarnation. The game isn’t exactly clear. Additionally, the King of Red Lions reveals himself to be King Daphnes Nohansen Hyrule. It’s interesting, but Tetra’s reveal is not without its controversy, given that she seems to have less agency as a character as a princess than she does as a pirate. Additionally, she has a darker olive complexion initially and after her identity is revealed, her skin appears much lighter. It’s entirely possible that the visual change was due to the brand-new cell shading technique that The Wind Waker used, or perhaps the lighting in the specific scenes in which she appears, but regardless, the optics are less than great. I liked that The Wind Waker emphasized exploration. There was just as much exposition, maybe even more, but since the game was so open, the player can take it in at their own pace. For a long time, it was my favorite title in the series simply because of the amount of time I could spend learning about this unique setting. The Great Sea only appears in one game, and it slowly dries up over the course of a century, so that by its second sequel, The Legend of Zelda: Spirit Tracks, Hyrule is beginning to return to its previous state. The Wind Waker was my favorite game in terms of exploration and open world gameplay for a long time. In fact, it was my favorite until 2017, when the newest game, The Legend of Zelda: Breath of the Wild, came out. This newest entry in the Zelda franchise takes open world exploration to a new an experimental extreme. This game sets Link off on his own, Zelda and Ganon having been sealed away and his previous companions being killed a century before. Zelda is still alive, and her powers are preventing Ganon from spreading his malice throughout Hyrule. Breath of the Wild has little hand-holding for the player. The dungeons can really be completed in any order, and for the truly adventurous, they can be skipped altogether. A man mechanic that the game uses to tell its story is through Link’s memories. He wakes up from a 100-year stasis completely unaware of who he is and how he got to the Shrine of Ressurection. He runs into a few people that he knew a century before, but other than that he’s on his own. The player gets glimpses into the events before the game through memories, but they’re effectively optional. It’s possible to reach the final boss and complete the game without recovering a single one of Link’s memories or beating a single dungeon. It’s incredibly difficult, but it’s possible. I think the reason that Breath of the Wild ended up so successful was in its storytelling. The player isn’t given something to passively consume, they’re given a scavenger hunt to find all of the pieces themselves. It’s a very active way to tell a story, and it uses the medium of video games to its full potential. It’s a direction that I hope the franchise takes in the future, and an extremely compelling way to create a story. Overall, I think that The Legend of Zelda and its sequels are great not only in their substance but in their ability to spark the imagination. I spend much more time looking at fan stories than I do playing the games, as a matter of fact. This series forces the player to explore and interact with the world around them. That sort of immersion creates an experience far greater than the game itself. I can say with confidence that Link’s adventures in Hyrule have had one of the greatest influence on developing a creative spirit and a love of storytelling in me. Excellent post mate! I couldn’t agree more. Nintendo and its Zelda game franchise and most especially Ocarina of Time, did a lot for the video game industry. For me, Ocarina had more scheme of the puzzle design. I also liked A Link to the Past.